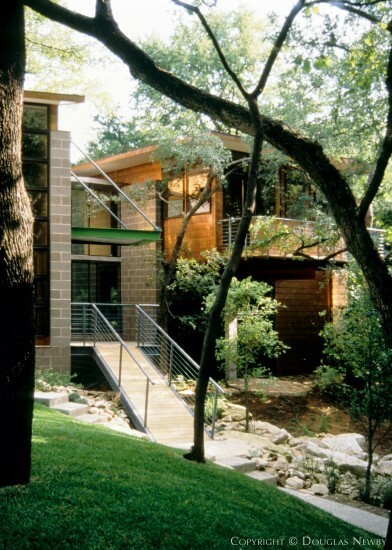 5400 Surrey Circle was designed in 1996 by Gary Cunningham and Sharon Odom. Beautifully placed on the lot, the interior accentuates the feel of the wooded exterior. Architect Daphne Perry was commissioned to do the custom tapestries. "Bluffview comes to mind first when one thinks of a modern home neighborhood."